In boxing, there are a number of different punches people can throw. Uppercuts, crosses, jabs, and hooks to name some. And each punch serves a different purpose and plays a different role. For example, jabs are often used, not to knock your opponent out, but to set your opponent up. So you may jab, and jab, and jab in the same place three times in a row, all so you can set your opponent up for the right hook to catch them off guard. You see, 95% of the time, jabs aren’t effective by themselves. You use jabs to learn about your opponent, and to get them ready to be knocked out. But jabs almost never win the fight. A lot of churches are fantastic at jabbing. They’ll have free meals and clothing drives. They’ll have Bible schools, or after school programs. Movie nights, community picnics, and fundraisers. The church gets the community engaged, gets their attention, and get them set up. Then a lot of churches send people home without delivering a ‘knock out’ blow. Churches are great at jabbing. But a lot of churches are lousy at right hooks. The programs that churches do, the community meals, movie nights, fund raisers, clothing drives, etc are all fantastic things. But they’re not THE thing we came to do. We came to offer something eternal. Something that restores us. Something that transforms us. We came to offer Christ. I love helping people. I love offering free meals, movie nights, and helping people pay their bills. But these things are set ups, ultimately to offer the best thing the church can. And too many churches have perfected a jab, with really weak right hooks. But here’s the thing; every church NEEDS those jabs. Churches need to build relationships with communities, and meet the needs that are present in their backyards. And churches should do this without any demands or prerequisites placed on the community. Said another way; churches can’t ONLY throw right hooks. Churches can’t demand people convert before offering services and assistance to people. Churches need both jabs and right hooks. 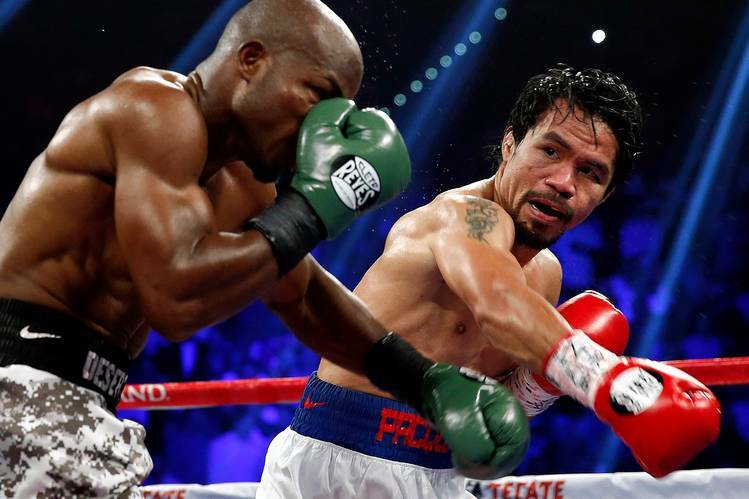 Study your context, thoroughly – When Floyd Mayweather and Manny Pacquiao squared off earlier this year, they had studied EVERYTHING about each other. They knew each others preferred stances, strikes, and weaknesses. They knew each other’s height, weight, reach, and injury history. They watched each other’s fights over the years. They hired sparring partners who moved and fought like each other to get used to the other one. Churches need to know their communities like boxers know their opponents. Clothing drives are great, but in a community struggling with substance abuse, they may not be the most effective ‘jab’. I’m in a lower income, rural setting where most people work at nearby factories, farms, or are on fixed incomes. Many in the community is familiar with the church from our strong social presence, but they don’t seem to have a relationship beyond knowing where it is. There is a nuance to being from Oakwood, Ohio. It may sound like a lot of other small, rural towns in Ohio. And in many ways, it is like every other small rural town in Ohio. But not in every way. Our Labor Day festivities, Flat Rock festival, and elementary school all play a part in the character of the community. The church needs to learn how to use those nuances to build relationship with the community. 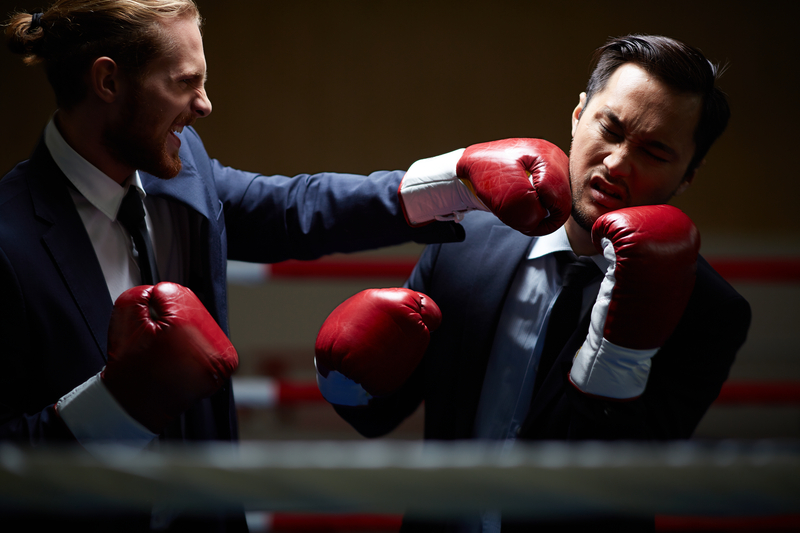 Have a plan of attack – There aren’t a lot of boxing matches that end in the first round. Each boxer goes in with a rough strategy for each round. Often each boxer spends the first couple of rounds trying to get a feel for each other, mainly to see if they need to change their strategy. But rounds 1, 2, and 3 are all setting up rounds 10, 11, and 12. And each boxer goes in trying to build to that moment when they get the chance to deliver the knock out. A lot of churches do a lot of the right things without any strategy. All of the social and community outreach I talked about earlier are great jabs. They’re great for rounds 1, 2, and 3 of building relationship with the community. But too many churches aren’t prepared for rounds 10, 11, or 12. As a result, too many church try to land that ‘right hook’ in round 4, when the community still isn’t ready for it. Remember, churches shouldn’t be trying to get new Christians RIGHT NOW. Churches are trying to be a part of God’s continual plan for that persons redemption. God has a longer perspective and strategy in mind than we do. I’m becoming a bigger and bigger proponent of having information cards and a follow team from the church. Talk to the visitors on Sunday morning (jab), get their email addresses (jab) and then send them a ‘thank you’ message during the week (jab). Too many churches try to short circuit the process and it usually looks like this: talk to new visitor (jab), invite them to come back next week (right hook), and that’s it. 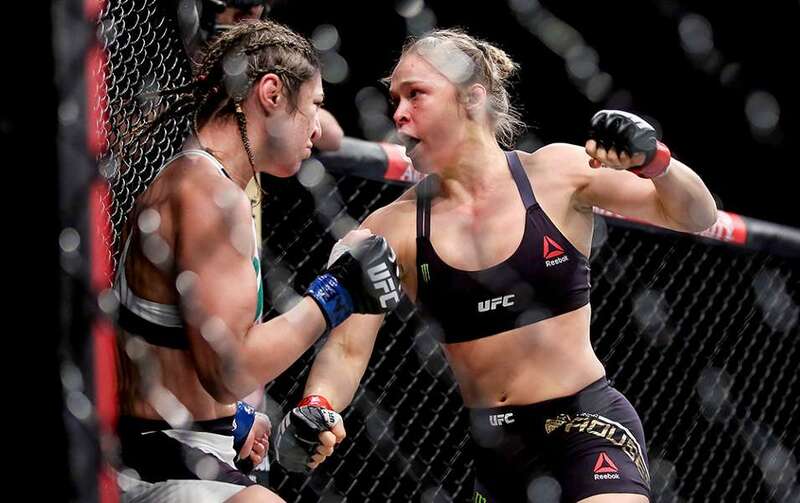 Play to strengths, exploit openings – Ronda Rousey is one of the most dominant MMA fighters in the world right now. She has won her last four professional fights in a combined 2:10. She was also an olympic level Judo athlete before transitioning to MMA. This means that she is incredibly strong in a skill set that many people are weak in (grappling and takedowns). And she exploits that strength better than anyone. Is your church great at getting a bunch of clothes together for kids around Christmas time? Use that to get to know the community, get email addresses, and send out ‘thank yous’ to everyone who gives and comes. Whatever strength(es) your church has, exploit it to build those relationships with the community. There you have it; three things to help land that right hook. If you think this is helpful, click one of the buttons down below and share it.